Here at Clintonville Animal Hospital, we strive to give you the best service possible. Our team of highly-trained professional Veterinarians are ready to help you with all of your pet's needs. Each time a new patient comes in, we treat him/her as we would our own. 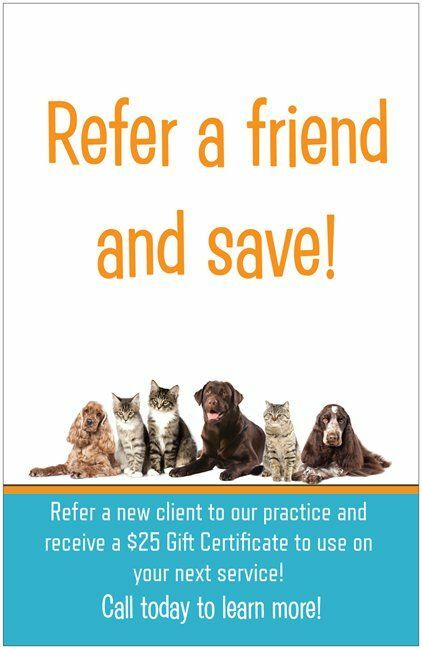 With a wide range of veterinary services, we make sure your furry friend leaves happy and healthy. Have questions about any of our services? Give us a call today or fill out our form below. Read our reviews to see what other people have to say! Your pet needs frequent check-ups to ensure that he/she is as healthy as can be. Dog's and cats are prone to all sorts of diseases and ailments. 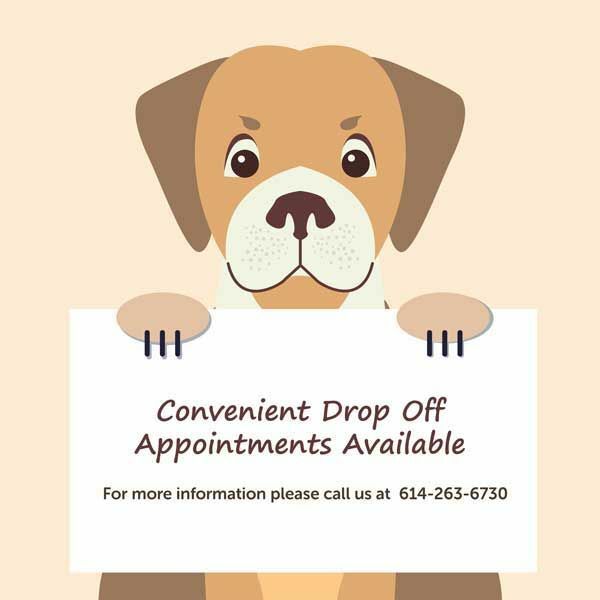 Make sure your pet is being looked after by taking him/her to Clintonville Animal Hospital for a check-up! Dr. Horne grew up in Toledo, Ohio before obtaining her Bachelors of Science degree in biology from the University of Dayton. She graduated from The Ohio State College of Veterinary Medicine in 2005. 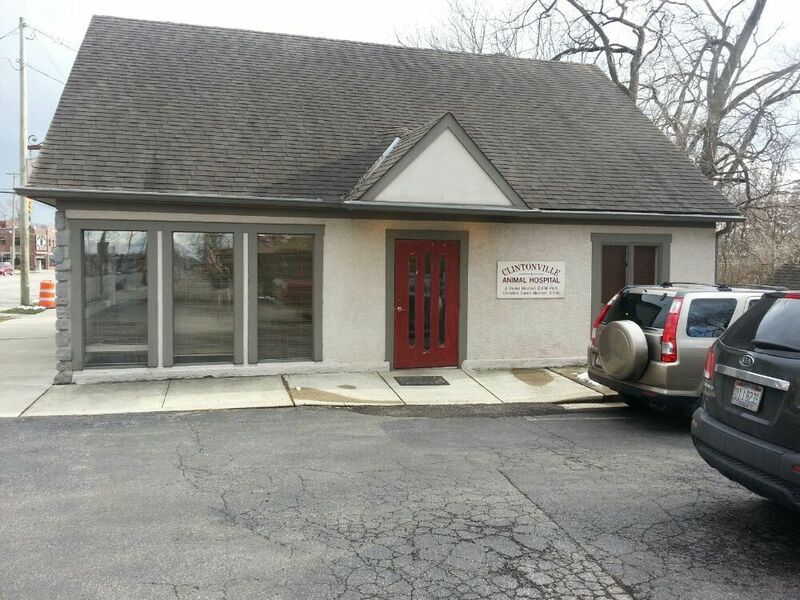 Prior to purchasing the Clintonville Animal Hospital in April of 2018, Dr. Horne worked in several small animal practices in the Columbus area. She has a strong interest in medicine and surgery. Dr. Horne lives with her husband Dr. Joe Bando, who is also a veterinarian, and their ever growing English Mastiff puppy, Dorie and rescued French Bulldog, Oliver Franklinton. When she’s not working Dr. Horne enjoys travelling, cooking, gardening, and spending time with family and friends. She is very excited to meet the patients and clients of the Clintonville Animal Hospital. wonders the area has to offer. Outside of work, Dr. Weller enjoys reading, hiking, traveling, and spending time with family and friends. He has a particular interest in brewing beer. Dr. Weller lived in the Clintonville neighborhood as a student and looks forward to meeting the clients and pets of Clintonville Animal Hospital. Geri started at Clintonville Animal Hospital in April of 2017. Prior to CAH, Geri had worked in the veterinary field for over ten years and garnered much experience with a variety of interesting pets and interesting people. Taking her love of animals home, Geri raised German Rottweilers, an Australian Shepherd/Border Collie mix who lived to be 16, and rescued several mixed breeds from the shelters. Not to be limited only to our canine friends, Geri had several cats, even though her husband was allergic, who found a caring home. Through the years, her family of three, was blessed but when her son moved out this last year, she found herself an empty nester. She and her husband decided it was time to slow down and moved to the country. Sadly, their last pets had passed in the previous year. Geri knew it was time for a special fur child to find a home. Geri and her husband adopted their pup, Paislee, a Lab mix from Columbus Dog Connection on Christmas Eve 2018. They enjoy walking their sweet girl and letting her run free in her new forever home. In her spare time, Geri enjoys baking, reading, gardening, hiking, and antiquing. Tess started here April of 2018. She graduated from CSCC with her degree in Veterinarian Technology in March of 2011. She has a german shepherd named Lieutenant Dan, and 3 cats Midori, Bumble, and Soot. In her free time she enjoys playing softball, going to country concerts and spending time with her friends/family. Liz Thomas hails from Southington, Ohio where she grew up loving 4H and all the colorful creatures included. Liz attended school at The Ohio State University after a fanciful childhood with animals and obtained a Bachelor's of Science degree in Animal Science in 2008. Her love of animals never stopped and she continued her education at The Vet Tech Institute at Bradford School, obtaining her Veterinary Technician License in 2011. Liz has been a Tech ever since. Liz met her husband, Andrew, and they were married in 2017. Together with their kitties, Quincy, Chester, and Mama Cat, and their pup, Brad they live happily together in Grove City. In her off time Liz drinks copious amounts of caffeinated beverages, coaches high school softball, and bakes to the delight of her co-workers. Andrea Levine Adams, better known as Annie, originates from Vienna, WV and moved to Columbus in 1999 to pursue her Bachelor of Science in Animal Sciences which she completed in early 2002. Annie has always had a strong passion for animals and has only been employed in the veterinary field throughout her life. She began as a veterinary assistant in junior high school at Parkersburg Veterinary Hospital, where she worked for many years. In college, Annie did her work-study under Dr. Katherine Kohn, professor at OSU CVM and head veterinarian for the U.S. Equestrian Team. This sparked her interest in research, and she became a lab animal technician in a bustling cancer research lab by the former dean of OSU CVM, Thomas Rosol. Annie helped co-author many publications, develop new cancer fighting drugs in dogs, and lead the way in real-time imaging of cancer cells in mice as well as calcium and vitamin D metabolism in horses. Looking to return to the healing side of clinical veterinary medicine and to focus on her own family, Annie was hired in early 2006 at Clintonville Animal Hospital. She began working part-time in 2016 to better support her growing family. Annie currently lives on the southeast side with her loving husband, Johnny and 3 sons: Ethan, Ryder and August. Together this happy family of five, has three dogs ranging in weight from 6 lbs. to 70 lbs., three cats, two goldfish, a catfish and one tree frog! Molly Hafer was born and raised in the middle of the scorched Nevada desert among pot-belly pigs, fake western shoot-outs, and towering sagebrush. Not to mention, a plethora of farm animals and quirky family members. When her eclectic childhood gave way to adulthood, Molly pursued a love of writing and acquired her Bachelor of Liberal Arts in Creative Writing from the University of Nevada, Reno. After several years of being a Jill-of-all-trades, she got the traveling bug, and with her sister and their adopted nephew in tow, the three moved to Chicago and eventually Ohio. Molly now resides in Clintonville and in her free-time loves to run the trails, make postcards out of trash, bake random recipes out of random cookbooks, and, of course, write. Her nephew is serving in the Army and Molly lives most contentedly with her sister and their three cats, Greta, Zeke, and Xander. Mary Jensen was born in Arizona but originates from Middlebury, VT. An avid amphibian and reptile lover, Mary was a tomboy who would spend her childhood catching frogs and snakes on her grandma's farm. Mary moved to Columbus in June 2018 with four high school friends to explore a little more of the world around her. Mary joined the team in August 2018 as a Veterinary Assistant here at CAH. Her previous experience includes the husbandry of both farm and exotic animals, and in her free time she enjoys spending time with her friends and collecting antique romance novels. Kierstin joined the team in August for 2017 as a part-time Veterinary Assistant. Born and raised in South Florida, she moved to Columbus in 2015 to attend The Ohio State University in persual of a bachelors degree in Biology with a focus on pre-veterinary animal medicine. Kierstin applied to Veterinary school recently and is hoping to begin her DVM program in the Fall of 2019. Outside of the office, she raises and trains service dogs with 4 Paws for Ability through Ohio State and is currently fostering her second dog, Koreander. With a passion for wildlife, Kierstin also volunteers at the Ohio Wildlife Center in Powell, OH. In her free time, she enjoys hiking, snorkeling, and binging at new restaurants. Anna Waugh grew up locally in Hilliard, Ohio, and like any good midwestern daughter of sunshine and country air, enjoyed family, friends, and pets in her formative years. Anna’s interest in our furry friends didn’t wane as she grew and after she married her high school sweetheart in 2015, she continued with her education. Currently, Anna is pursuing a degree in Veterinary Technology from Columbus State. When not in school, Anna and her husband, are restoring a period farmhouse back to its former glory and spending time with their Heinz 57 pup, Penny, and cat, Kitty. Anna enjoys the creativity restoration provides and hopes to have an impressive vegetable garden later this summer. Krista Bishop grew up in Cincinnati, Ohio, cultivating an appreciation for flora and fauna through numerous childhood visits to the Cincinnati Zoo. Krista has a deep love for photography, specifically nature and wildlife photography. She attended Northern Kentucky University to pursue that passion, obtaining a Bachelor of Arts in Photography in 2017. The following year, she married her husband. Together they traveled to Iceland for their honeymoon and Krista was able to photograph arctic foxes, caribou, and atlantic puffins in the wild. Her photography, like her travel, is not limited to one area and she has been as far as Joshua Tree National Park to as close as Cuyahoga Valley National Park, capturing the natural world in her lens. Her goal is to eventually travel to all of America's national parks. Krista loves wildlife, travel, hiking, knitting, and photography.